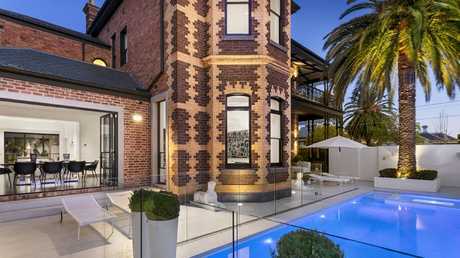 ‘Stanhope’ at 56 Holmes Rd, Moonee Ponds is on the market with a $5-$5.5 million price guide. 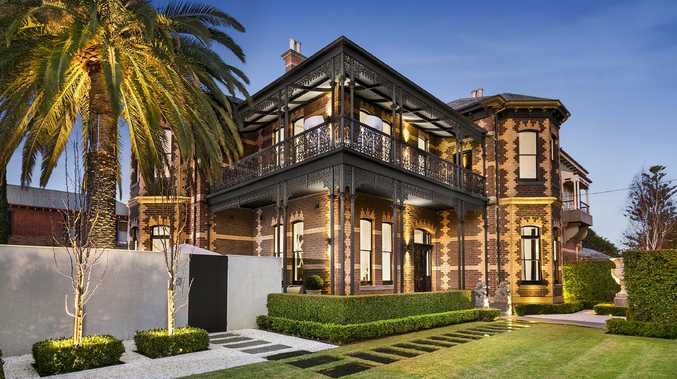 THIS landmark Moonee Ponds mansion has lived myriad lives since it was built for a wealthy mining investor in 1888. It housed Trinafour Hospital - the birthplace of former Melbourne Archbishop Frank Little - from 1919, a guesthouse from 1938 and again from 1965, and the Country Roads Board offices from 1950, according to local historians. Stanhope now stands as it was originally intended: as a spectacular residence. The house has been lavishly renovated. The historic home at 56 Holmes Rd has hit the market with a $5-$5.5 million guide for its expressions of interest campaign, closing November 1. 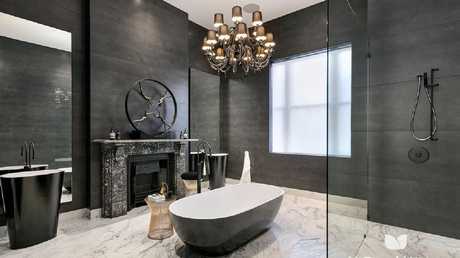 McDonald Upton selling agent Joe Zucco said the four-bedroom, four-bathroom house had been luxuriously renovated by its owner, who CoreLogic records show paid $2.15 million for the property in 2014. 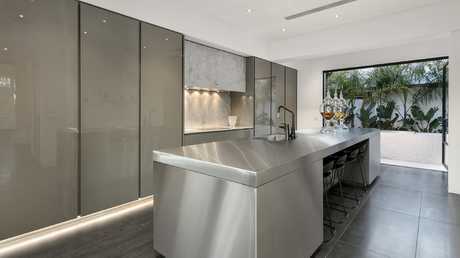 "No expense has been spared - he's done a total fit-out, put in a mosaic-tiled pool, everything," Mr Zucco said. 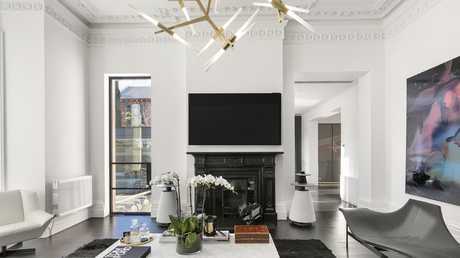 The reno importantly retained the mansion's original cornices, flooring, staircase and stained glass window stairwell, plus nine marble fireplaces. 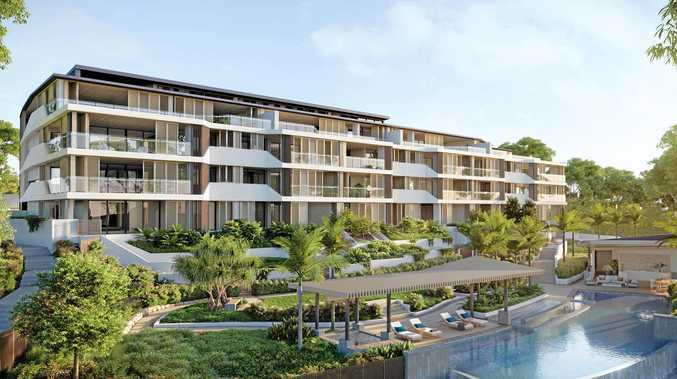 New glamorous features include silk carpets and curtains, a Swarovski chandelier, a built-in wine cellar, a kitchen packed with Miele appliances, home automation and a jaw-dropping walk-in wardrobe for the main bedroom. The house is set on a 705sq m block. A mosaic tiled pool features on the 705sq m block. … and its incredible walk-in wardrobe. Contemporary and period styles blend in the mansion. 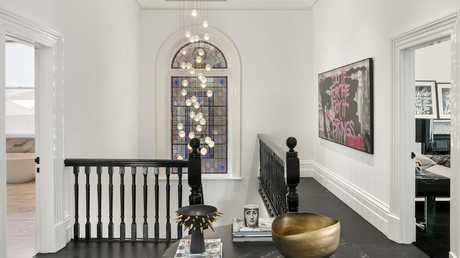 Original features, including the staircase and stained glass windows, can be found throughout the house.